Looking for ideas for new garden plants? Many organizations highlight special plants each year. The Perennial Plant Association’s pick for 2018 is Allium ‘Millenium’. This ornamental onion is heralded as a butterfly magnet. It grows best in full sun and produces a clump of upright glossy deep green leaves that reach 10-15 inches tall in spring. By midsummer, it with have two to three flower stalks each sporting a 2-inch sphere of rose-purple florets. Flowers can last as long as four weeks and then can be picked and dried holding on to a blush of their rose-purple color. 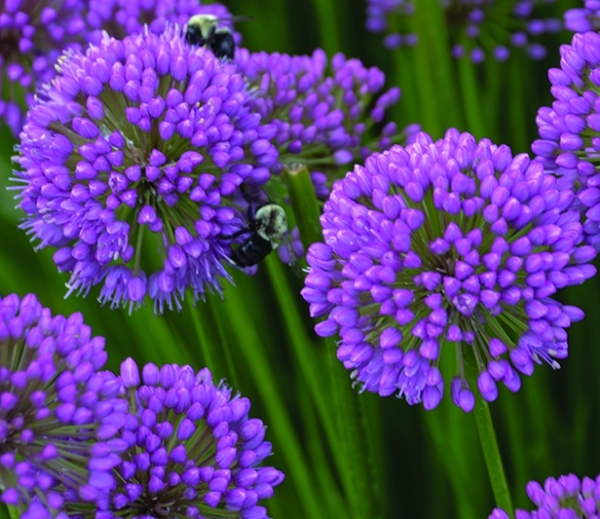 Allium ‘Millenium’ has no serious insect or disease problems, plus deer and rabbits usually avoid this great perennial. What’s not to like! 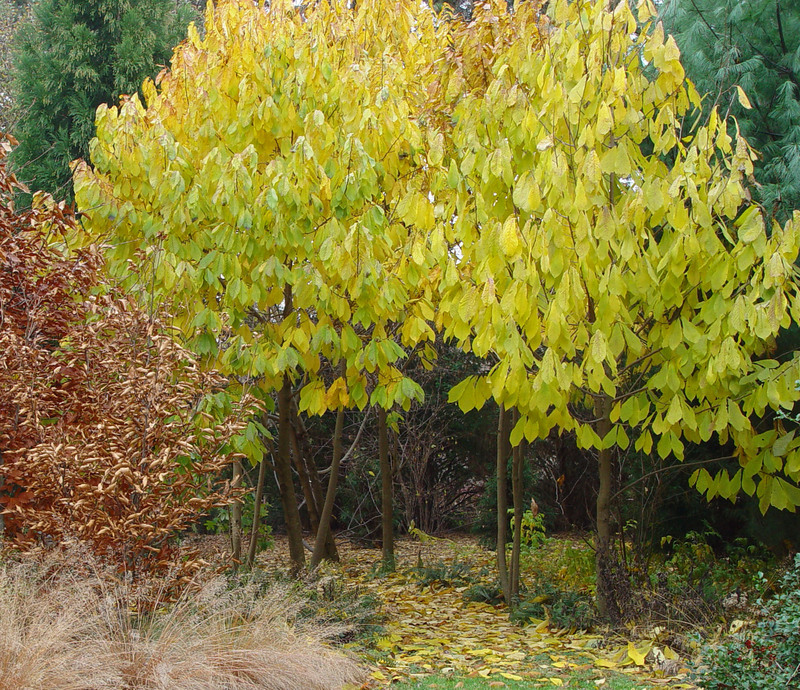 The Delaware Nursery and Landscape Association (DNLA) picks a woody plant and an herbaceous plant each year. The 2018 picks are marginal wood fern (Dryopteris marginalis) and common pawpaw (Asimina triloba); both native to the region. The DNLA selects plants that are typically underused or unknown and are particularly well suited to thrive in Delaware. The marginal wood fern forms tidy clumps and can be easily identified by the spores along the outermost edges of the fronds. Leathery leaves are evergreen and twice compound resulting in a lacy texture. Leaves are blue-green on the upper surface with a light green underside and reach a height of 18 to 30 inches. 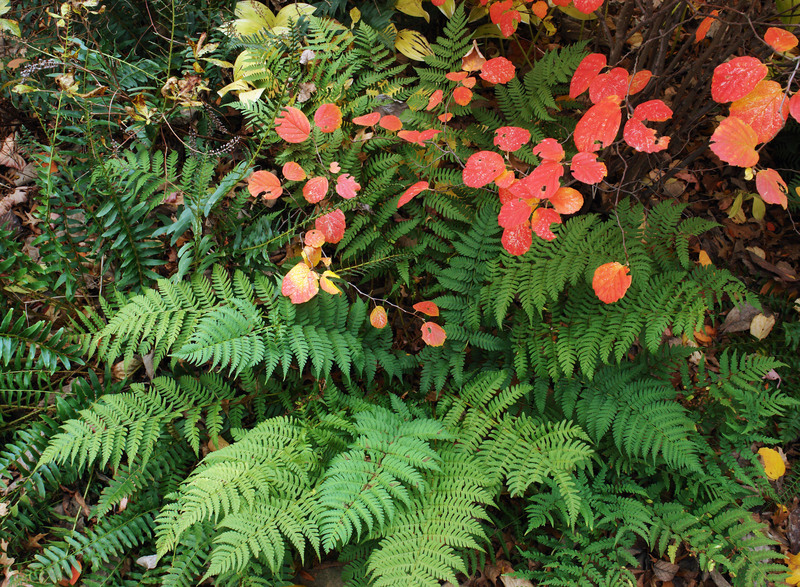 Marginal wood fern requires good drainage and grows best in shade or partial sun. It tolerates dry shade and like all ferns is deer tolerant. It is extremely cold hardy, but may need a protected location to keep the evergreen fronds looking good. Stands of marginal wood fern provide valuable habitat to small wildlife. 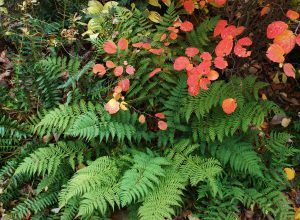 The dramatic feathery foliage makes marginal wood fern a great accent for a shade garden or in the right conditions, a lush, verdant groundcover. Common pawpaw is a small to medium sized tree or large multi-stemmed shrub (10-40 feet tall). It is native to the eastern United States, but has an exotic feel due to large, tropical-looking foliage. 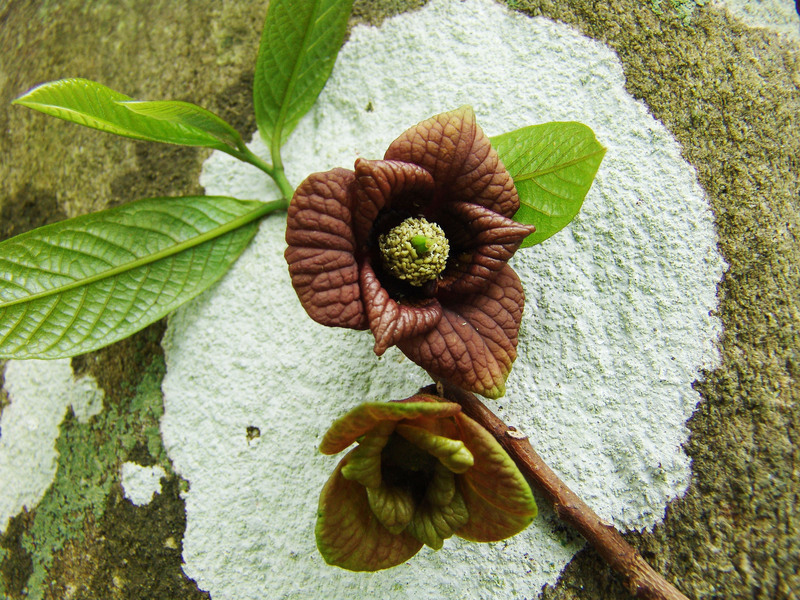 Pawpaw is the northernmost member of a primarily tropical family (Annonaceae; Custard Apple Family). 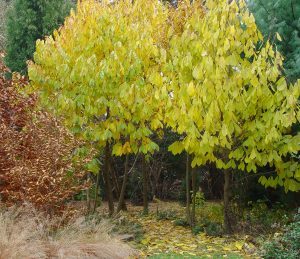 Thick, bright-green leaves turn yellow-green for interesting fall color. Purple, six-petaled flowers are borne singly in leaf axils in early spring before leaves emerge. They are not particularly showy, but reward the keen observer as a harbinger of spring. Fruit are large, cylindrical and edible. They have a soft texture and flavor often described as strawberry banana-like. Fruit are not commercially available because they bruise easily and do not withstand shipping. Therefore, if you want to taste pawpaw, you need to grow one. Pawpaws make an excellent grove-forming understory tree. They provide food for birds, butterflies and small mammals and give an exotic touch to a native garden. The Native Plant Center at WestChester Community College in New York has its picks as well. Blackhaw viburnum (Viburnum prunifolium) is the native woody plant of the year and Eastern bluestar (Amsonia tabernaemontana) is the native perennial of the year. Blackhaw viburnum is a large shrub, reaching 12 to 14 feet at maturity. Large, creamy white flower clusters are born above the foliage in late spring to early summer. These are followed by pinkish-red berries that turn blue-black as they mature. Flowers provide nectar for pollinators and a host of beneficial insects and fruit provides food for birds and small mammals. Fruit is edible by people and can be made into preserves. Eastern bluestar has multiple seasons of interest. Powder blue five-stared flowers are born in clusters in spring, providing nectar for pollinators. Bright green, shrubby foliage is makes a great background for other summer-bloomers. Then in the fall, the leaves turn golden yellow. Amsonia hubrictii (Arizona bluestar) is another bluestar with even more dramatic fall foliage color. This perennial is a member of the dogbane family and has a milky sap that makes it unpalatable to deer, rabbits and groundhogs. 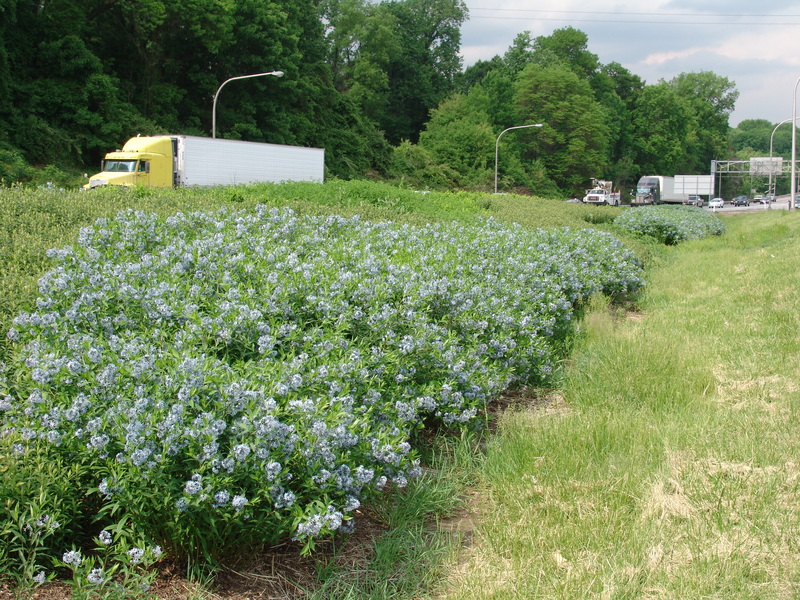 Bluestar blooming along I95 at the gateway to Delaware from Pennsylvania. 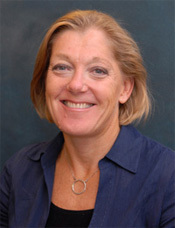 If you want to learn more about horticulture in Delaware, visit my blog (http://sites.udel.edu/suebarton/) and follow my instagram (sbartonhort).